AS GENERAL ELECTRIC gears up to move its headquarters from Fairfield, Conn., to Boston, the people and communities being left behind are dreading the pain to come. John Engel, a real estate agent and town councilor in nearby New Canaan, told public radio's "Marketplace" that the departure of 800 GE executives, most of whom will likely list their homes for sale, will send the local housing market staggering. Once the region loses millions of dollars in disposable income, it will ineluctably lose much of the business those dollars sustained. There will be fewer patrons to fill local restaurants, for example, and thus fewer jobs for restaurant employees. Some (most?) 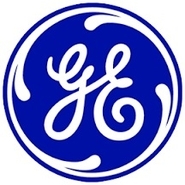 of the $14 billion that GE has annually spent buying goods and services from Connecticut vendors will migrate northward. Ditto the $10 million GE has spent per year on charitable contributions, and the estimated 49,000 hours its employees have given in volunteer work. The impending exodus of GE after more than 40 years is a blow from which many local companies, and the families that depend on them, may be reeling for years. Tony Hwang, a state senator from Fairfield County, doesn't exaggerate when he describes GE's forthcoming move as "a punch in the stomach for the state of Connecticut." Have you ever paid someone to punch a victim in the stomach? If you're a Massachusetts taxpayer, you have now. To induce GE to relocate to Boston, Governor Charlie Baker and Mayor Marty Walsh offered to cross the corporate behemoth's palm with silver — lots and lots of silver. 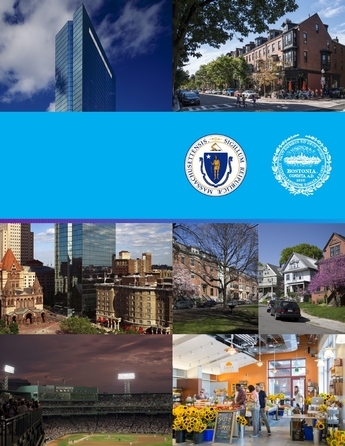 The package of incentives underwritten by Bay State taxpayers is expected eventually to total more than $150 million in direct subsidies, tax abatements, training funds, site improvements, and property acquisition costs. That means that General Electric — a conglomerate with roughly $150 billion in annual revenues — will siphon $188,000 out of the public treasury for each job it proposes to move to Boston. "We won Powerball today," the mayor exulted to reporters when the news broke last week. That might be true in some alternate universe where Powerball winners fork over a jackpot rather than collect one. In our universe, however, when government spends huge honking sums of taxpayer dollars on corporate welfare, it hasn't won a thing. It has wagered public money for the benefit of a private company, in the process penalizing other companies by forcing them to subsidize their competitors. The politicians covet the power and glory that come with making those wagers. But their track record is terrible, and labeling their reckless gambles "investments" changes nothing. State and city officials prepared a glossy, 11-page pitch book as part of their campaign to coax GE to move its headquarters to Boston. "This will be a good investment for Massachusetts and . . . Boston," says Baker, rationalizing the offer of a fortune in public funds to influence a corporation's private business decision. "The tools that we'll be using are the same tools that have been in place for a very long time and have been used by prior administrations." No kidding. Prior administrations played the same game, placing losing bets on Organogenesis and Vertex Pharmaceuticals, on Evergreen Solar and Intel Corp., on Nortel Networks and Fidelity Investments. Again and again, Beacon Hill doles out subsidies, tax breaks, and other bribes to lure out-of-state companies to Massachusetts or persuade in-state firms not to leave. Again and again, the giveaways fail to produce the intended results. Again and again, politicians swear they've learned their lesson. Then along comes another company, promising the moon in exchange for "incentives," and the taxpayers get ripped off once more. Coaxing GE to Massachusetts via pricey perks and favoritism isn't legitimate economic development. It's a corrupting shell game. It compels Bay State taxpayers to enrich a vast multinational, while knowingly inflicting pain on their neighbors in Connecticut. Baker and Walsh are taking bows, but their crony capitalism is nothing to cheer.